This sign is for Pioneer Beverages. The sign’s colors are red and white. 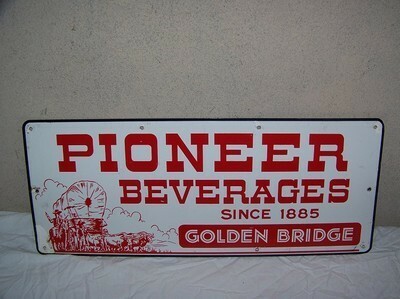 The text on the sign reads: Pioneer Beverages since 1885 Golden Bridge. The sign shows a wagon to the left with text to the right.